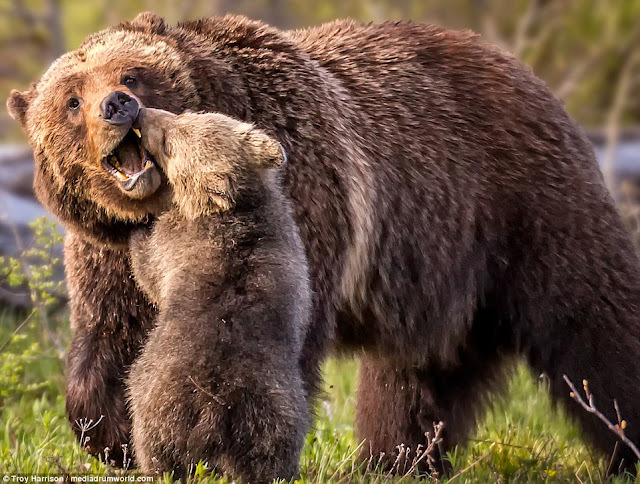 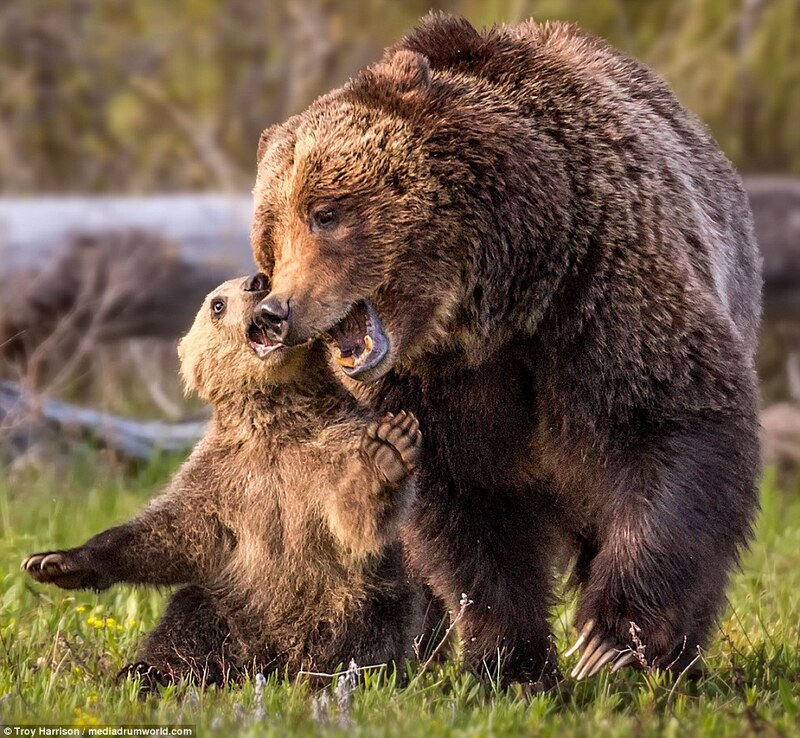 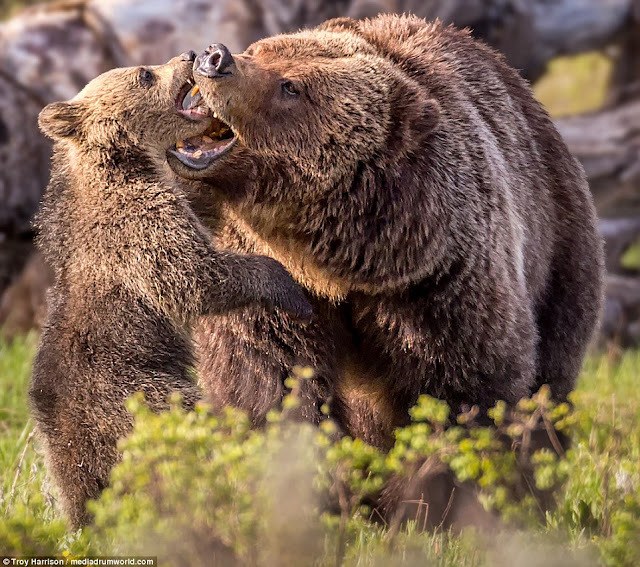 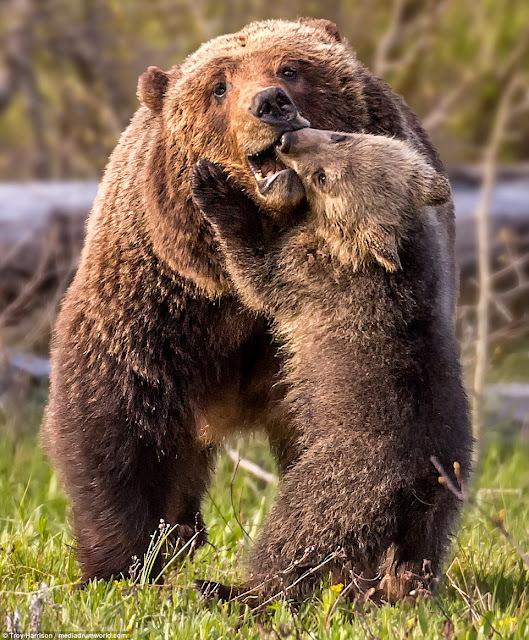 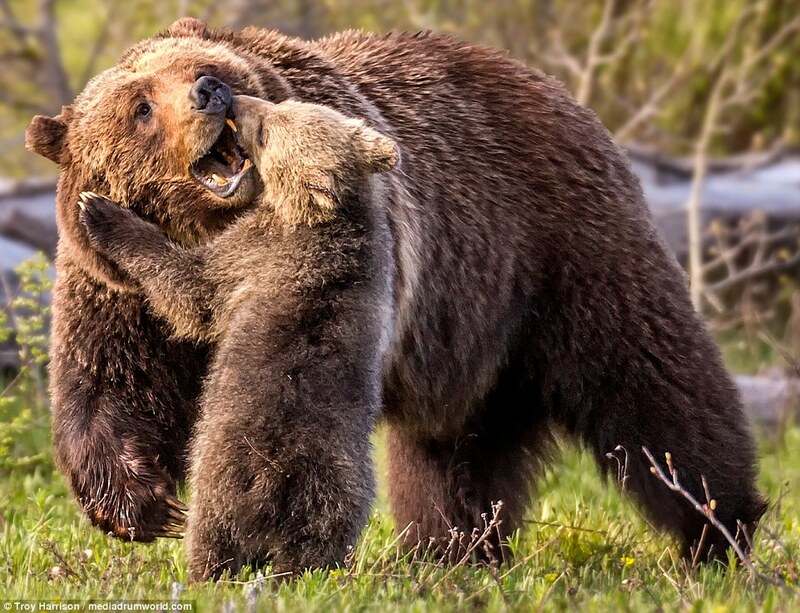 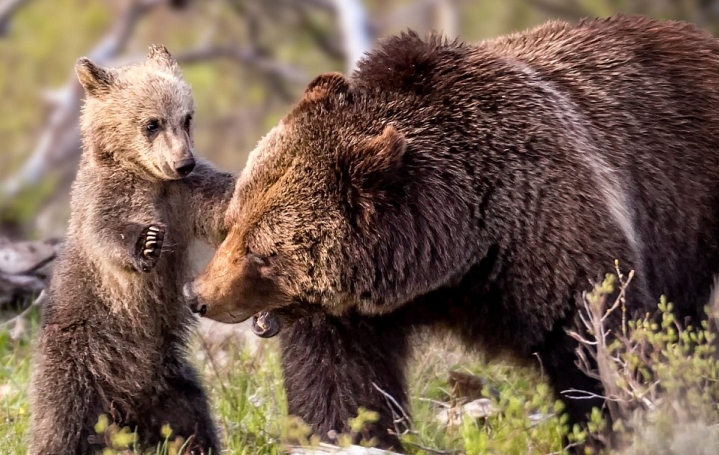 A four-month-old grizzly cub has been caught on camera showering its mother with kisses in a stunning set of photographs. The sweetheart can be seen chasing its mother around the Grand Teton National Park in Wyoming trying to land a number of smooches even if the fully-grown bear does not seem all that keen to pucker up. A tussle turns into a bit of playful rough and tumble before the pair succumb into the heart-melting parental affection in its purest form. 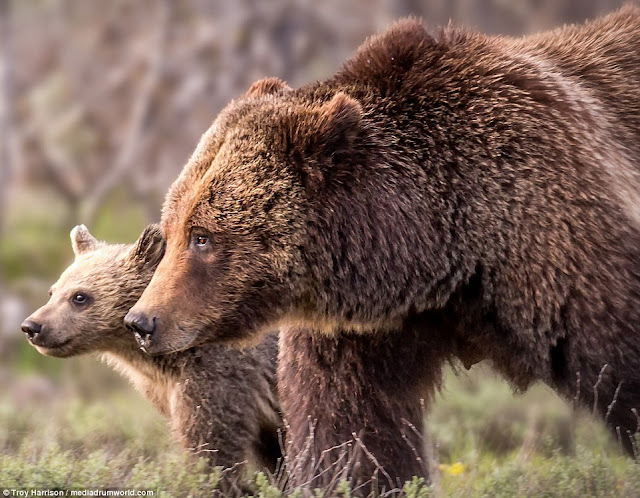 They walk in tandem through the vast wildlife of the Grand Teton and junior even has time to practice climbing on a wooden pylon. 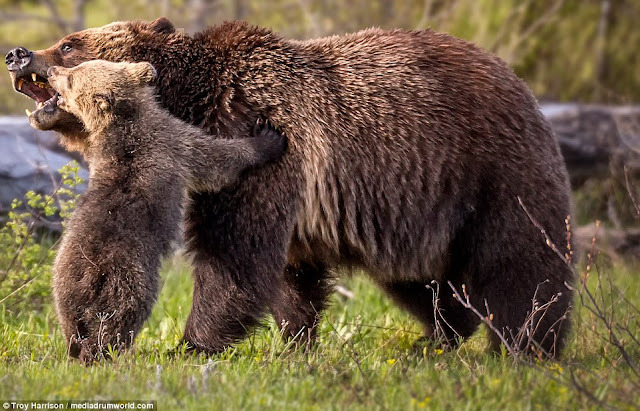 Clearly a natural with the camera, its swivels its neck to give the wildlife snapper the perfect shot. 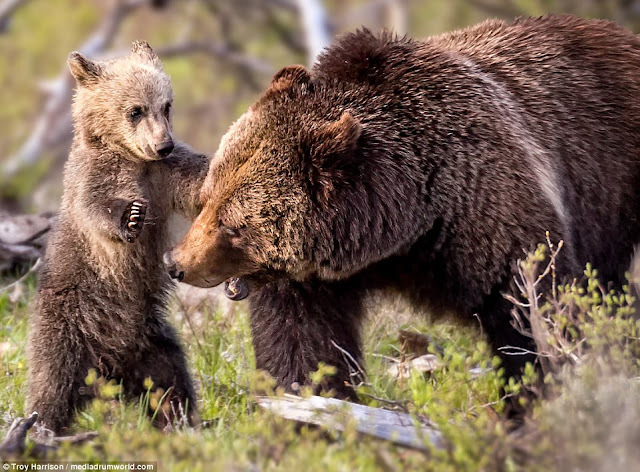 The images were captured by photographer Troy Harrison, 47, from Nashville in Tennesse at the national park synonymous with grizzly bears. 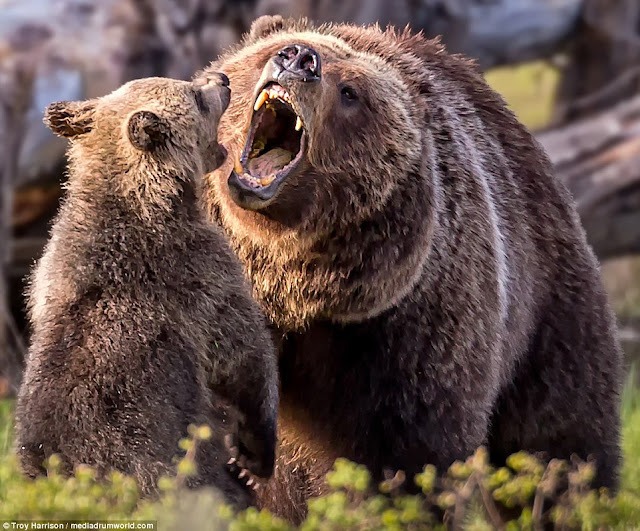 Responses to " Adorable pictures of four-month-old grizzly bear kissing its mother"